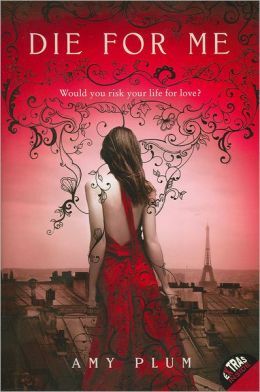 Die For Me by Amy Plum completely plunged me into the romantic world that is Paris: Tiny cafés, the Seine River, The City of Lights. Now just add to that a romance with an otherworldly, dangerous, beautiful guy and you have yourself a recipe for a thrilling, amorous tale! Both of Kate’s parents have died, leaving her and her older sister Georgia to pack up their New York lives and move to Paris to live with their grandparents. While Georgia deals with her grief by partying and being a social butterfly, Kate closes herself off to everything and everyone, finding solace only through the escape of reading. But then, Kate meets Vincent: dark wavy hair, piercing blue eyes, chiseled features all over. As Kate starts to spend time with Vincent, slowly the ice begins to melt. However, when things seem too good to be true, it’s usually because they are. You see, Vincent isn’t a normal human guy. He and his “family” have a specific destiny they are ordained to fulfill. This particular fate scares the crap out of Kate, and she tries to run from it—tries to wall herself up in the confines of her bedroom. But in the end, she just can’t resist the call to be with Vincent—finally ready to open her heart again. Four out of Five stars for this intriguing Paranormal Romance with a fascinating new lore.